How to install and use Piezography ink on the 3800 and 3880. Open the cartridge bay door, remove Epson cartridge(s) and install refillable cart(s) into printer (please refer to the refillable carts instructions for the correct way to fill and prime), then close the cartridge bay door. The printer should now pressurize carts. When it stops, the green power light should be on and “ready” displayed on the printer LCD panel. If you see a red light or cartridge error on the LCD at this point, one or more chips has not been recognized or seated correctly. If this is the case, open the cartridge bay door, then push firmly on the cartridge that is not being recognized. Follow this by lifting up on the back of all carts, then close the cartridge bay door. Perform 3 Power Clean Cycles after installing carts to purge color ink and get Piezography ink from carts to the print head. Print a nozzle check to make sure all positions are fully printing, then print a test gradient and examine it for color staining. Yellow, which is the worst for color staining, will show up in the highlights. If color staining is present, do another Power Clean Cycle or a few regular cleaning cycles. Follow this by printing another gradient to make sure color is gone before printing images. Epson 3800 / 3880. These two 17″ printers are for all practical purposes the same hardware. 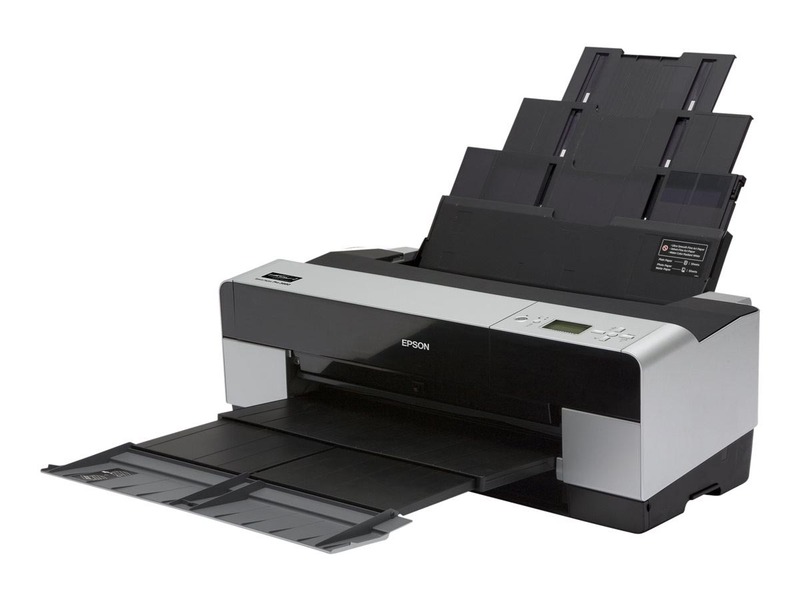 They are often both available in the Epson clearance center as a refurb from $749 to $949. This is one of the best handling paper printers ever. Seems to just load everything without a complaint. We have several of these printers at InkjetMall which we use for online printing services and all of our teaching workshops. Between the 3880s and 7880s, we handle 90% of the online print requests. With three 9880s we have it all covered. Pro printers are built exceptionally well. You do get what you pay for when it comes to the Pro line. These printers work better than the newest P-series printers because they give you more control of platen gap and init-fill options. Over-all, these printers are a must-buy for long-term professional printing. Use 3800-3880-PiezoDN curve folder for digital negatives with this inkset. Use 3800-3880-PiezoDN-P2 curve folder for digital negatives with this inkset.